The pop queen just launched her first perfume and is in full preparation for her upcoming tour (starting May 20 in Tel Aviv). 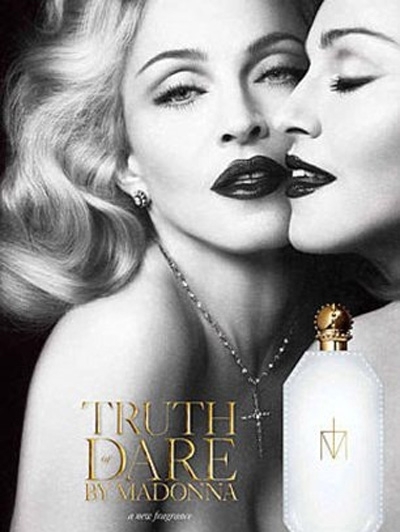 Women’s Wair Daily had a talk with Madonna about her new fragrance. This entry was posted in Beauty and tagged fragrance, Madonna, perfume, Truth or dare by sofischoice. Bookmark the permalink.